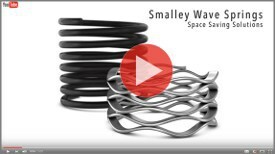 Use Servometer electroformed metal bellows for metallic hermetic seals, volume compensators, pressure and temperature sensors, flexible connectors, and countless other applications where flexibility, strength, and long life are critical to your application. 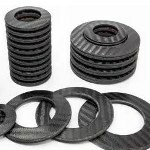 Servometer metal bellows are available in various materials and are proven to be leak tight for demanding aerospace, military and defense, automation and industrial applications. Request a free sample bellows. Engineer's Toolbox: Why direct drive technology? Become a robot programmer in 87 minutes! Reaction wheels provide an efficient solution for satellite attitude control. To develop this control system, a torque sensor is mounted to a motor and flywheel pair. As the motor spins the flywheel, the torque sensor captures the torque generated over time. These measurements are then used to design and tune an efficient control system. Learn about torque sensor setup in this application. High atop the Cerro Armazones mountain in the harsh but extremely dry environment of the Chilean Atacama Desert, more than 2,000 custom hybrid actuators will adjust 798 quarter-ton segments in the primary mirror of the European Extremely Large Telescope (E-ELT). As a leader in precision motion control solutions, PI (Physik Instrumente) designed a new type of actuator to meet the extreme requirements of this amazing application. If Thurston Howell III dreamed of the far-distant future while shipwrecked on "Gilligan’s Island," he probably imagined tooling around the mainland with Lovey in something like the yacht-inspired Vision Mercedes-Maybach 6 Cabriolet concept. Recently displayed at Monterey Car Week in California, the 750-hp (550-kW) electric hard-top convertible is luxurious, pretentious, exaggerated, and a real head turner -- but it's full of clever and impressive design details too. 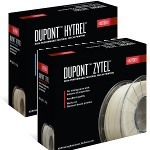 Proven over decades of use, DuPont Hytrel thermoplastic elastomers and DuPont Zytel nylons offer high quality, reliability, and performance in various applications in a wide range of industries -- and now the materials are available as 3D-printing filaments. Hytrel is available in two different hardness levels (Hytrel 3D4000FL with a shore D of 40 and Hytrel 3D4100 with a shore D of 60) for customers to make flexible, functional parts that combine resiliency, heat, and chemical resistance with strength and durability. With Zytel 3D1000FL, customers will be able to make strong and stiff functional parts that have a high heat deflection temperature, low warpage, low sensitivity to moisture, and excellent surface aesthetics. Learn material specs on the DuPont site. Purchase exclusively on the Coex site. 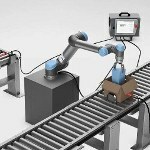 Aerotech’s HEX RC is a 6-axis motion controller ideal for controlling robotic systems like hexapods. 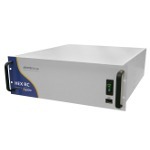 It is 4U rack-mountable and compatible with the Automation 3200 (A3200) motion platform. A high-performance processor provides the intense computing power needed to run up to 32 axes, perform complex, synchronized motion trajectories, manipulate I/O, and collect data at high speeds. This unit features 6 axes of drives capable of controlling any combination of brush, brushless, or stepper motors (both current loop and servo loop closures). An optional 6-axis jog pendant permits easy, manual control of the positioning system. 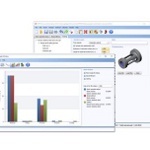 Boothroyd Dewhurst, developer of internationally recognized Design for Manufacture and Assembly (DFMA) software, has released DFM Concurrent Costing, Version 3.0. Deployed as a cost-analysis tool for engineering and procurement teams, the latest software allows manufacturers to move beyond "price" models, based largely on past bids, to industrial cost models grounded in scientific test data and studies. 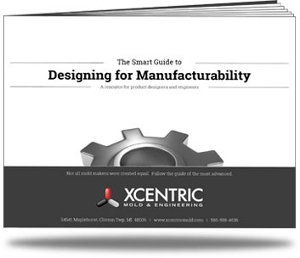 The result is a highly reliable "should cost" view of the product that offers insight into hidden cost drivers and ways to optimize both design and production. H2W Technologies’ latest single-rail positioning stage design is an open-frame XY positioning system. It has two bottom parallel axes with one cross axis connecting the two (H-gantry). Each linear axis uses H2W’s brushless linear motors (BLDM-B04). Each has a total stroke length of 25.67 in. (652 mm) and can generate 6.2 lb (27.8 N) of continuous force and 18.7 lb (83.3 N) of peak force, or a combined 12.4 lb (55.6 N) continuous force and 37.4 lb (166.6 N) peak force on the bottom axis. The non-contact 1-micron resolution encoders allow for precise positioning. The moving tables are guided by a precision recirculating linear ball bearing system. Additional options include a home positioning sensor, end-of-travel-sensors, and custom mounting holes. Watch this stage in action. The use of natural refrigerants is on the rise, creating a new set of challenges for cooling system design. You can optimize safety and efficiency by understanding the implications of the trend on component design and selection. 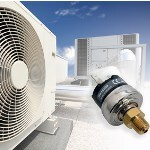 This new white paper from Sensata Technologies provides an overview of methods used to mitigate these technical challenges as well as a look at some of the HVAC and refrigeration hardware and safety technologies required, especially pressure switches and pressure sensors. Read the white paper (no registration required). During World War II, the National Institute of Standards and Technology (NIST) was among those working intensely to develop guided weapons to help the Allies win the war. But before the advent of satellites and GPS, laser targeting, or even radar, how would one guide a bomb? Why, trained pigeons, of course. It won’t be long before NASA’s aeronautical innovators will have a tough decision to make. While moving ahead with plans to field a new "quiet" supersonic X-plane during the next few years, agency researchers also are developing a plan for commercial airliners that are quieter, burn less fuel, and release fewer emissions. The big question is, what will a new subsonic X-plane look like? Five concepts are in the works. If you haven't see it by now, where have you been? Elon Musk's SpaceX has released a blooper reel that highlights its epic fails in perfecting rocket launches and landings in the quest to be the top private commercial provider of space transport services. You gotta love a good sport! Watch "How Not to Land an Orbital Rocket Booster" and relive the crashes and smashes that provided the growing pains for SpaceX to succeed. Go on the guided tour of the Mechanical Test Operation Center, Rolls-Royce Deutschland, to explore how they test the fatigue life of their engine components to ensure that they can deliver the best products to the world.